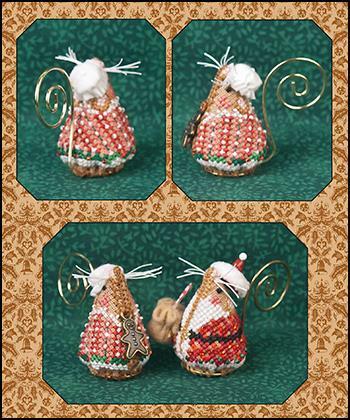 Another limited edition in the mouse series from Just Nan to go with Santa mouse. This one is Gingerbread Mrs. Santa Mouse. Comes with Gold hanger tail, antique brass button for base, gingerbread man charm, pellon for the cap, and beads for accent. 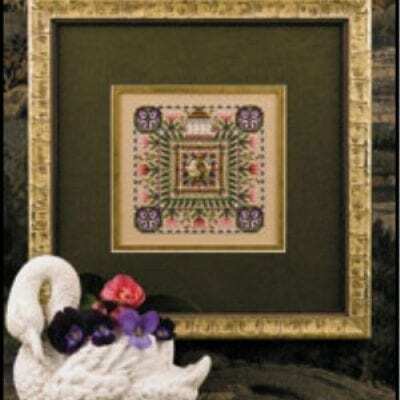 Design is 29H x 57W shown on 32 count Gingerbread linen from picture This Plus or antique almond from Zweigart.